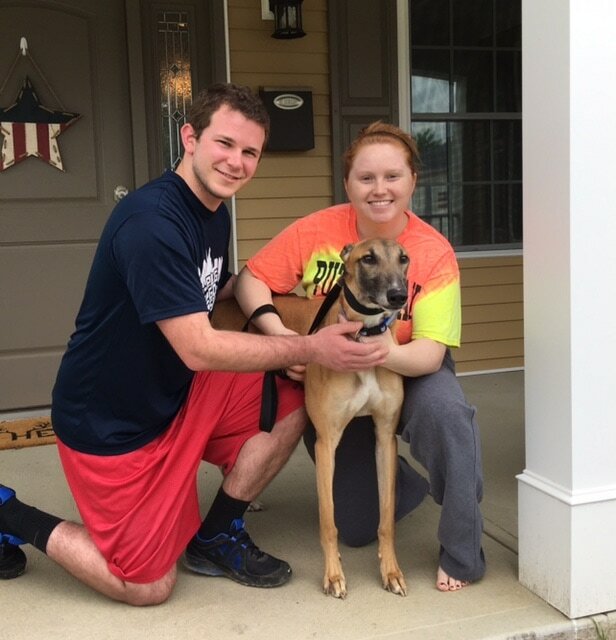 Robie was adopted by Charlene and Tyler who live in Lawrenceburg, IN. They fell in love with this sweet boy immediately when they met him, of course it helped that he liked them too and wanted all their attention. This couple has decided to name him Rogan which fits him well. He will get lots of attention that he so deserves!